Ricola herbal sweets have been bringing us a true taste of nature for years. Still using the blend of thirteen herbs from the original Swiss recipe, these natural sweets have a mouthwatering taste. Rich in Vitamin C to boost the immune system, this blend of bilberries, raspberries and blackcurrants has an intense, delicious flavour of the mountains. 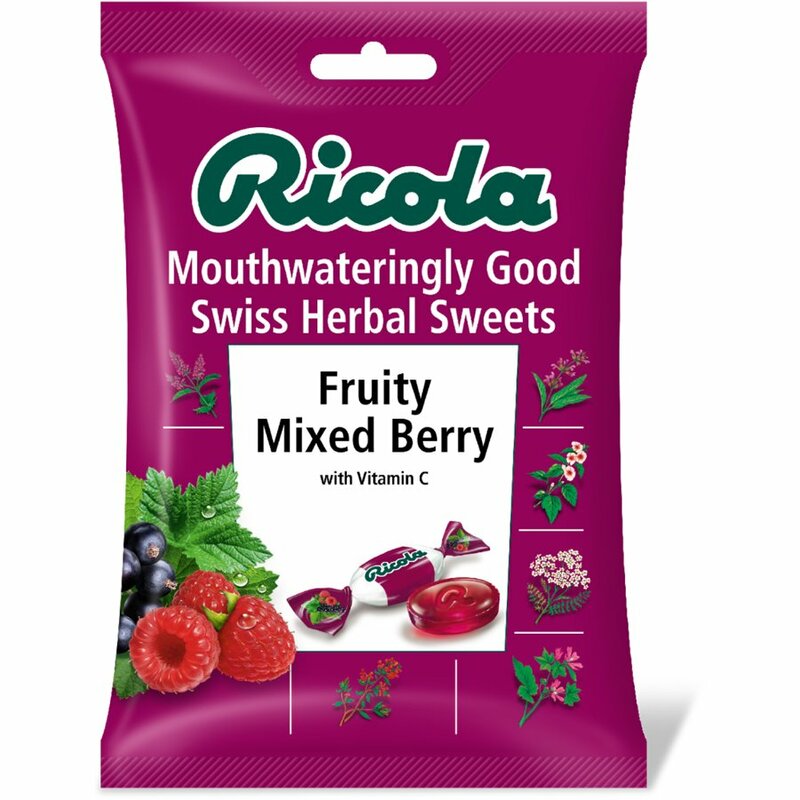 Sugar, glucose syrup, vitamin c, acid (citric acid), juice concentrates (0.6%) of raspberry, blackcurrent and blueberry, extracts (0.5%) of Ricola's herb mixture, natural flavours, concentrate of carrot and hibiscus. Made in a nut free environment. Storage: Protect from heat and humidity. The Ricola Swiss Herbal Drops Bag - Mixed Berry - 70g product ethics are indicated below. To learn more about these product ethics and to see related products, follow the links below. 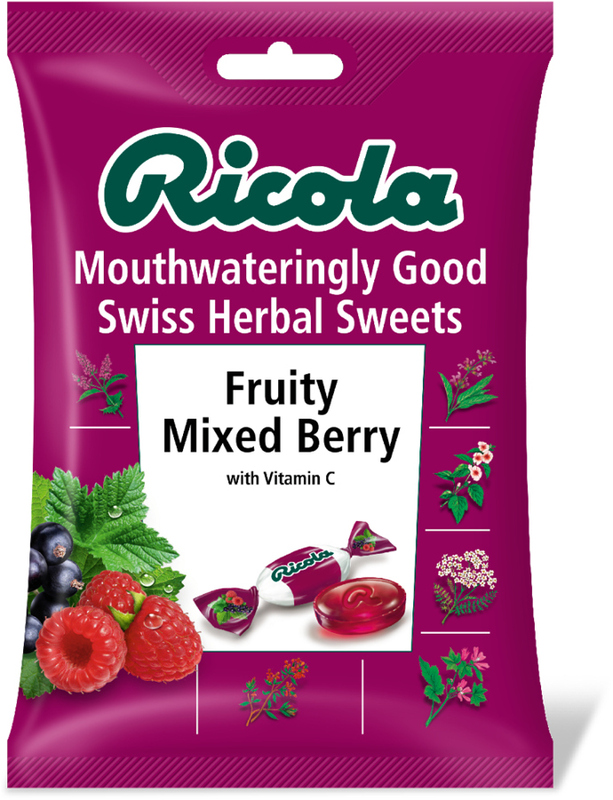 There are currently no questions to display about Ricola Swiss Herbal Drops Bag - Mixed Berry - 70g.